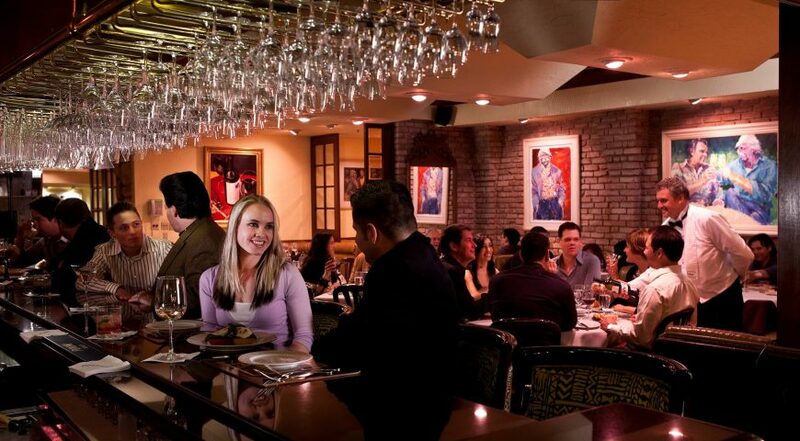 As we are continuing with this post, we are highlighting various “apres golf” spots, and Piero’s Italina Cuisine located across from the Las Vegas Convention Center in the heart of Las Vegas is high on our list. We hope you enjoy additional details about the place frequented by a who’s who of Vegas, Hollywood and everywhere. Visit PierosCuisine.com for reservations and experience the Piero’s consistency for yourself. Mention Las Vegas Golf Insider and receive a special 10% welcome discount. For sure, many words could be used to describe what has made—and sustains—Piero’s Italian Cuisine one of the best restaurants in Las Vegas history. 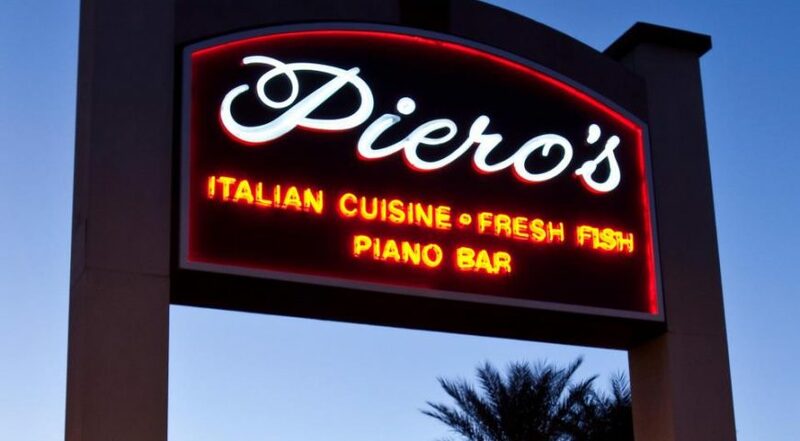 Founded in 1982 by Freddie Glusman, Piero’s has been serving superstars, locals and visitors ever since, establishing a worldwide reputation along the way. So, I wanted to go directly to the source, Freddie, to determine the one word that best describes the Piero’s legend. “What do you mean? One word that describes Piero’s? How should I know?” Glusman says in his one-and-only, gruff tone as he walks through the restaurant’s historic “A Room” (to learn more about Glusman, click now to read about my recent dinner with him). “Well, you are the founder and owner, so I thought you could give me some insider insight,” I quickly reply to convince him that I was up to his challenging conversational style. “Great word, but how do you define it?” I ask. “What do you mean, how do I define it? Look it up!” Glusman says, as only he can. From Webster’s Dictionary, the definition of consistency: the agreement or harmony between parts or elements and a pattern of sticking with one way of thinking or acting. Glusman did finally expand on what makes Piero’s elite and a place people like to visit again and again, whether a local from Vegas or a visitor who has traveled thousands of miles for the experience. I think better of asking Glusman to define the word ‘harmony’ that was part of the Webster’s definition, but I do speak with several longtime Piero’s team members to determine each of their thoughts about Freddie’s new, favorite word. “We are here all of the time and that’s a big part of being consistent,” Evan says, who grew up in the restaurant and now oversees operations. “It’s vitally important to have an owner present at a restaurant to lead the team and I try to lead by example. But even though we are here much of the time, we also empower our team. We encourage our leaders to make decisions and get the job done. Fetaz worked with Piero Broglio, the original chef, and understands what it takes to deliver on a nightly basis. Sous-chef Antonio Martinez, who has been at Piero’s for 27 years, agrees. “We are a well-oiled machine and make magic each night,” he says. It’s one thing to offer consistent food items, but Piero’s ensures a consistent experience at every level and, collectively, it creates a unique and enticing atmosphere. Phillippe “Frenchie” Bouhourdin, the managing captain, has been at Piero’s for more than 23 years and still gets excited to walk through the door each night. 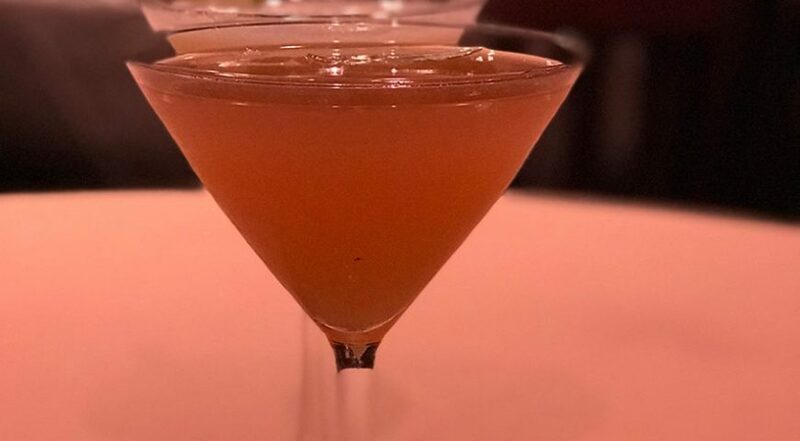 Even the bartenders get in on the act, from heavy pours in the drinks—especially the house special martinis–to knowing what regulars want, even before it’s ordered. “I can’t count the amount of times someone will say to me, ‘I can’t believe you remembered that’ when we know their names or their drinks, or both,” says Bruce Ryan, a longtime bartender who estimates he knows the drink choice of at least 150-200 customers, maybe more. Just as it has come to Piero’s. LasVegasGolfInsider.com (LVGI) is owned and operated by Brian Hurlburt, a longtime Las Vegas golf writer, promoter, historian and author with more than two decades of experience with all things Las Vegas golf. Other respected writers also contribute to the Las Vegas Golf Insider experience. Get the best deals right in your inbox, and subscribe today. Copyright © 2019 Las Vegas Golf Insider All Rights Reserved.